ONE OWNER. NO ACCIDENTS, Clean Autocheck. 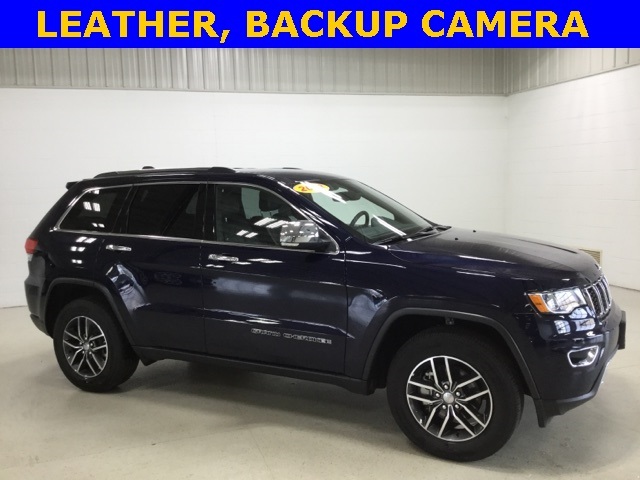 A Grand Cherokee LIMITED 4X4 in True Blue Pearl Coat with Black LEATHER Interior. 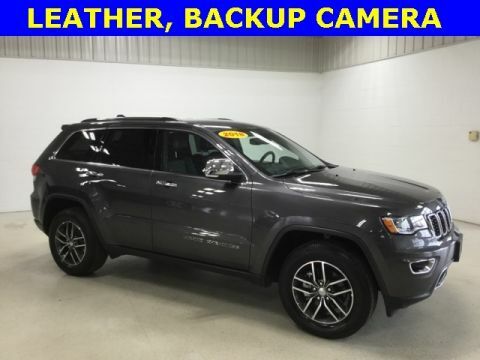 KEY FEATURES Include: REMOTE START, PARKVIEW REAR BACKUP CAMERA AND A POWER LIFTGATE. 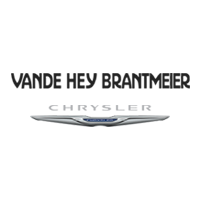 PERFORMANCE FEATURES Include: 3.6L V6 Engine and an 8 Speed Automatic Transmission Capable of 25 MPG HWY. Engine Oil Cooler, Selec-Terrain System and the Quadra-Trac II 4WD System. FACTORY WARRANTY UNTIL 2023. 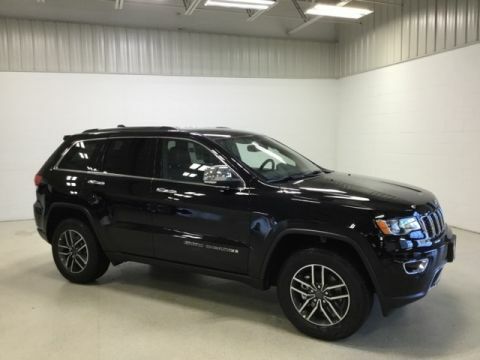 INTERIOR FEATURES Include: 8 WAY POWER ADJUSTABLE DRIVER & FRONT PASSENGER HEATED SEATS ( Memory Settings for Drivers Seat, Radio & Outside Mirrors ), HEATED STEERING WHEEL, HEATED 2ND ROW SEATS, Power Windows & Locks, Tilt & Cruise, Full Length Floor Console, Air Conditioning, AUTO TEMP CONTROL with DUAL ZONE CONTROL, Overhead Console, Uconnect 4 with a 7" Touchscreen Display, 6 Speakers, Steering Wheel Mounted Audio Controls, Google Android Auto, Apple CarPlay and Integrated Voice Command with Bluetooth. 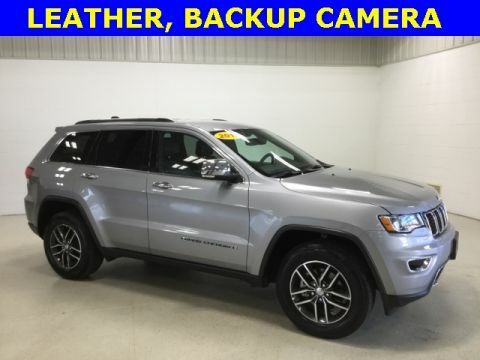 EXTERIOR FEATURES Include: 18" Tech Gray Aluminum Wheels, Rear Window Defroster, Power Adjustable Outside HEATED Mirrors with Supplemental Signals and PREMIUM Fog Lamps. SAFETY FEATURES Include: PARKSENSE REAR PARK ASSIST W/STOP, Security Alarm, HILL DESCENT CONTROL, Universal Garage Door Opener, ENHANCED ACCIDENT RESPONSE SYSTEM, Trailer Sway Damping, REMOTE KEYLESS ENTRY, Sentry Key Theft Deterrent System, HILL START ASSIST, Electronic Stability Control, Anti-Lock 4 Wheel Disc Brakes and FOUR WHEEL TRACTION CONTROL.